The wonders of acupuncture-I’m a convert! I’ve been struggling with a cough for almost a month now. A cough that started out shallow, deepened and just never seemed to go away. Just when I thought I had kicked it, it came back again in full force. As I am not in possession of antibiotics and other chemically produced medicines so I was relying on homeopathic type remedies. Although they relieved me, and probably helped in the cough not worsening, were inadequate in getting rid of it. I also found myself in extremely cold temperatures when I was waiting for a friend for lunch, the restaurant was freezing and I felt a chill even down to my feet, that night, even while wrapped in blankets I still felt my soles to be ice-cold. I was thisclose to going to a doctor when a good friend of mine suggested I try acupuncture. I’ve heard of acupuncture before of course, and if you are a SATC fan like I am you remember Charlotte trying to get pregnant and tuning out the rest of the world during her acupuncture sessions. I know that it works for some while others are cynical. My friend said that my body was probably trying to release more toxins, so it wouldn’t “hurt” to try. Of course, I knew it was going to “hurt” a bit, but before I coughed myself into a coma and with a cold that seemed to be building up, plus cold feet and lower energy levels I decided to go for it. 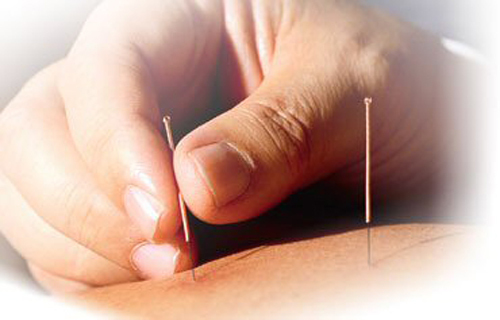 First step was booking an appointment with a competent and trained acupuncturist. 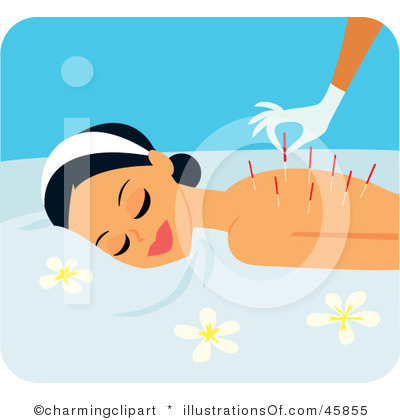 There are several in Metro Manila but it’s always best to trust your source and I went with Larry Zhang who I have also recommended to other friends looking for an acupuncturist and they have all found his method to reap positive results! Zhang first had me sit down and seemed to be taking my pulse, it took him a relatively long time as we sat in silence so I actually felt nervous. I whispered “Oh gosh, is it serious” and he shook his head and said “No, I have to be serious first.” Zhang later explained to me that his diagnosis consists of first listening to the beat or the rhythm of a person’s pulse. There are over 100 combinations of beats and sequences that can tell him what the body is going through and will need, hence the long silence. He does it to both wrists so you spend about 10 minutes just sitting and waiting for him to talk. It turns out that my condition wasn’t too serious (phew) he recommended I lay down as he explained which of my organs were affected. My spleen was overworked (obviously from all the food I had ingested and late nights out during the holidays) that it was blocking qi (life force) from going up, creating moisture in my stomach that led to phlegm. Since it was also blocking what was going up, the downward direction of my qi was also impeded, resulting in poor circulation, my cold feet and tired legs. As I lay down, Zhang proceeded to well, for lack of a better word, prick me in two areas on my wrist and hands, one on each knee and one one each ankle it seemed. He advises you not to move so I couldn’t look down to see exactly how many there were and where. But, I have to admit when he twisted some of the needles around I felt a sharp pain and then a eventual numbing. He would come back every couple of minutes to twist the needle and then observe. It wasn’t unbearable pain and I lay there for about twenty minutes as we chatted about what foods affect which organs and what I could do in the next couple of days to heal. In less than two hours (after limping around for a while) I noticed my chest had lightened and I wasn’t coughing. In fact the rest of the afternoon til I went to bed that night, I didn’t cough a single time. Even my voice improved, it wasn’t scratchy and phleghmy anymore. Today is the day after and although I still have a bit of a cough, it’s certainly nowhere as deep as it used to be and Zhang did tell me it would take 1-2 days(and I had to avoid cold water, fried and sweet foods) but certainly less discomfort and my feet are no longer ice cold. What can I say I’m a convert, I’m seeing him again to see if he can continue to heal my cough and my circulation, I am pretty confident that he can! Next up, a full body assessment which he said he could do once I was rid of my cough, at least he can pinpoint what other organs need healing and can also check the state of my blood and immune system. Here’s hoping for good news. Hi Kat 🙂 So glad your a convert now to accupuncture…. I have been a long time believer. 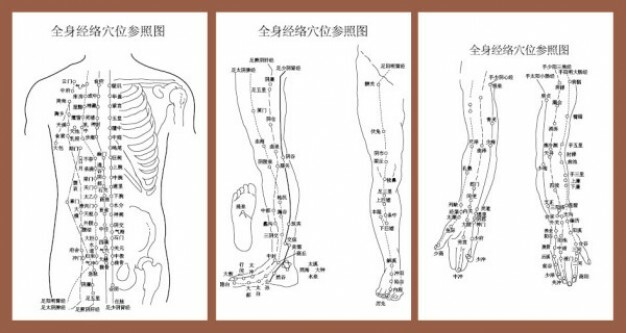 Your Acupuncturist though sounds brilliant, first time I have heard about the pulse analysis, quite interesting… what is the contact number of your acupuncturist? Hi, same as above… May i ask for the contact info? Sure you can call Larry Zhang at 0915-3585338. Hope acupuncture helps you too!